The idea of Bakhtiyar Bazaar started 6 months ago over breakfast whilst Masoud, Koroush & Darius were discussing the day ahead. Masoud mentioned the idea of creating a business where we could make Persian rugs, runners & kilims more accessible and appealing to a younger market and this idea lead to Bakhtiyar Bazaar being created. On Friday 5th of October renowned family run Persian carpet specialists Bakhtiyar will be launching their second shop, Bakhtiyar Bazaar, on Stockbridge High Street. Finding the perfect Persian rug for your home is hard, and trying to visualise the rug you like in situ is even harder. We understand this and try to make the buying process and simple and easy as possible for our clients by offering free and obligation free trials with rugs. Persian rugs have been popular across the world for centuries and have played a major role in architecture, fashion and design across the middle east for thousand of years. Seen as a symbol of status and wealth Oriental rugs where the floor coverings of the royalty and rich, and something the general public wished to attain. Kashan is located in central Iran. It is one of the oldest towns in Persia and is named after its original inhabitants the ‘Kasian’ people, whose remains can be found in the Tepe Sialk which dates back to 6,000BC. Recently, Kashan rugs have been given as wedding presents from the bride's parents to the newly wed couple, this is to represent eternal life and their eternal love. Have you ever wondered how Persians determine the quality of a rug? 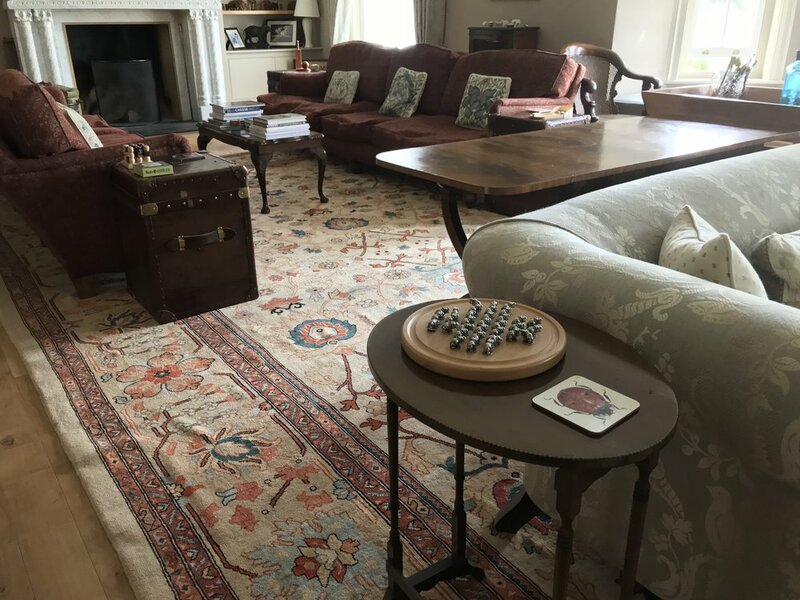 For centuries, two methods passed down between generations have have been used as the definitive methods of measuring the quality of the weave of a rug. By following the steps below you can learn one of the oldest secrets of the Bazaar.